A very simple Raspberry Sauce can be created by using seedless raspberry jam. Just microwave and drizzle. 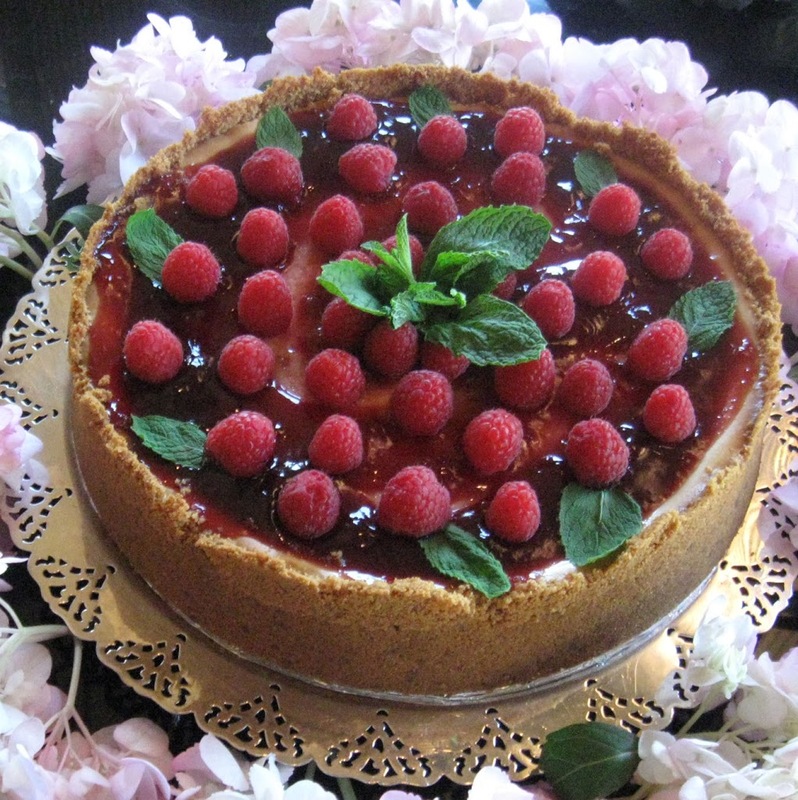 Here we used the simple Raspberry Sauce to cover a Raspberry Cheesecake, and decorated with fresh raspberries/mint leaves.